On this single issue, David Cameron was right. Member states must have the option to index child benefits to the cost of living where the benefits are paid out, write Morten Loekkegaard and Troels Lund Poulsen. Morten Loekkegaard is a Danish Member of the European Parliament for the Alliance of Liberals and Democrats for Europe (ALDE) group. Troels Lund Poulsen is Denmark’s minister for employment. The EU Directive on the coordination of social security systems is currently being revised in the European Parliament and in the Council. The revision needs to incorporate fairness as well as freedom. Modern Europe – that is to say, the EU – is built on fairness. The idea that together we deal with common issues and challenges so that every citizen of Europe can feel equally treated both politically and economically. At the EU-summit in February 2016 UK Prime Minister David Cameron – as part of a new political deal for the EU – got the agreement that child benefits should be indexed to the standard of living in the country where the offspring are based. The European heads of state had agreed – to accommodate Cameron and avoid Brexit. It was all about fairness. But fate wanted things differently. In June 2016, the UK was leaving the community – and what had been politically acceptable for the EU in February became principally impossible overnight. The staunchly bureaucratic EU-Commission was now back in comfortable control. And the Commission said “No”. But why exactly was this? Had the principles changed? Had the unfairness of one country paying out to citizens living in another EU-country changed? No, it had not! In Denmark, generous child allowances are paid out to parents for each child they have. This benefit is intended to help cover the cost of having children in day-care, kindergarten etc.. It is essentially about giving families the freedom to choose whether to use public or private institutions – or indeed to take care of their own children at home. The size of the child allowance is measured to the relatively high cost of living and that of institutions in Denmark, it varies depending on the age of the child. Our relatively generous social welfare system is based on a social contract between the state and the citizen. Effectively, we agree to pay high taxes over the span of our working lives in the understanding that at different times throughout our lives, we will need the support of the system. What we have seen for some years is that a growing number of individual migrating workers, whom we need and fully welcome in Denmark, have acquired the right to all benefits under the common EU rules. This is fair as far as the benefits relate to their lives in Denmark. After all, this is what the benefits are designed for. However, we have also seen a growing number of these workers, send child benefits to offspring in their home country. Just to put this into perspective: the average Bulgarian income for instance in 2017 was just over €400 per month. Essentially, with two children under the age of two, a Bulgarian worker in Denmark can get the equivalent of an extra full annual income in Bulgaria directly from Denmark. Is this reasonable? Obviously, to Danes, this seems utterly unfair. It is seen to undermine the Danish social contract, which is why it has become a major public objection against the free movement of labour. In the Danish Liberal Party we see the free movement of labour as a profound benefit to Europe as a whole. It is in an effort to guard the justification for this freedom that we have continuously called for an option to index child benefits. And we are not alone in this. Austria, Germany, Holland, and Ireland have all joined Denmark in a plea to the Commission. But so far, all we have heard from the Commission is an uncompromising “no”. To add insult to injury, Commissioner Thyssen, has rather arrogantly suggested that we should be looking at re-organising our national social systems to bring them in line with the EU-rules! This would essentially mean depriving citizens of their freedom of choice, only to satisfy a tone-deaf Commission’s ambition of more harmonised social models. … Really? On this single issue, David Cameron was right. We need to re-think our social models in Europe to make sure that EU-rules are fair and reasonable. Firstly, member states must have it as an option to index child benefits to the cost of living where the benefits are paid out. Secondly, if a country decides to use this option, indexation must go in both directions, i.e. if a worker’s child lives in a country with a higher cost of living, then the benefit needs to be relatively higher. Thirdly, the Commission needs to issue criteria and an indexation scale to make sure that member states that wish to index these benefits are able to follow the same rules. 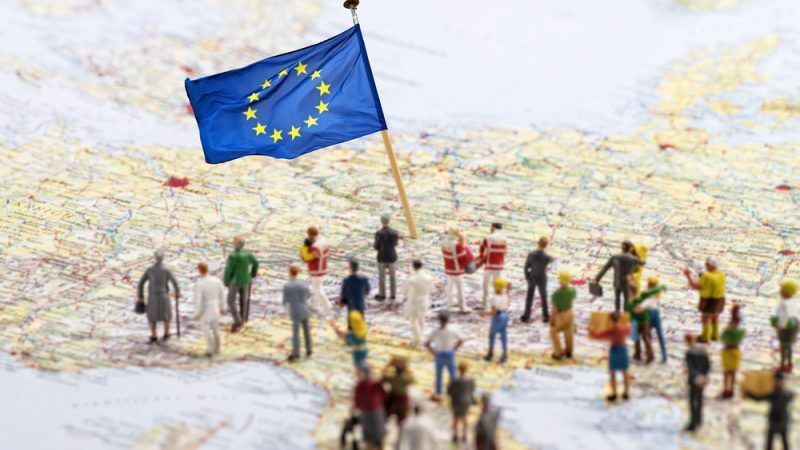 Making EU-rules fair, reasonable – as well as free – is a question of strengthening the link between citizens and the community. This must always be at the heart of everything we do as legislators in Europe. What is “fair” about discrimination? Freedom of movement means not having to pay a price for exercising one’s fundamental rights under the Treaty. The EU quickly dropped the proposal as soon as the referendum results were in. For the simple reason that everyone knew the agreed compromise reached between the Council and the UK was unfair discriminatory and ultimately illegal. This opinion piece is an example of why the EU gets bad press. The authors advocate for discrimination against EU Workers in the name of fairness. The use of “fairness” in this context is Orwellian.